35 people have viewed this property this week. 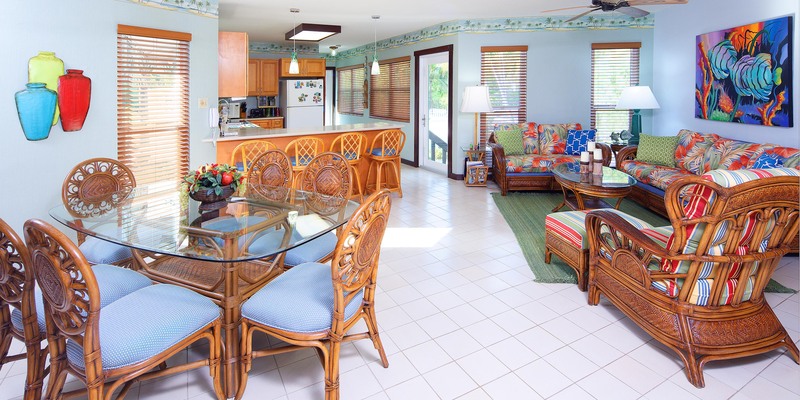 The spacious open floor plan at Kirk Kove in Cayman Kai will surprise you on arrival. 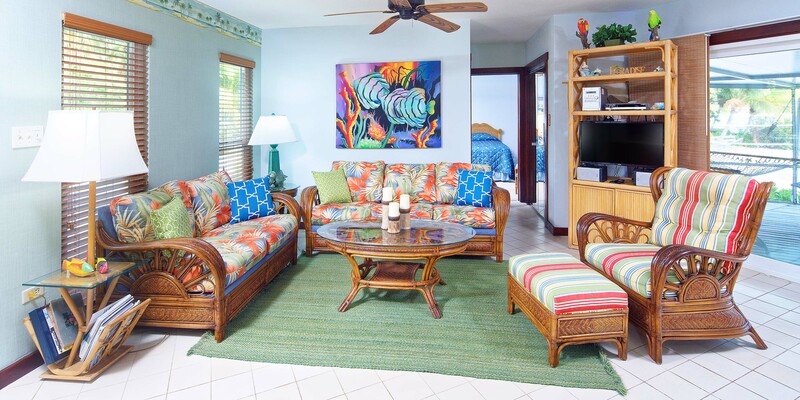 This 2-bedroom, 2 bath beach home nestled on a quiet, protected cove offers plenty of space—both indoors and out—for your group to sprawl out and soak up paradise. Kirk Kove features a unique "Y-shaped" floor plan. 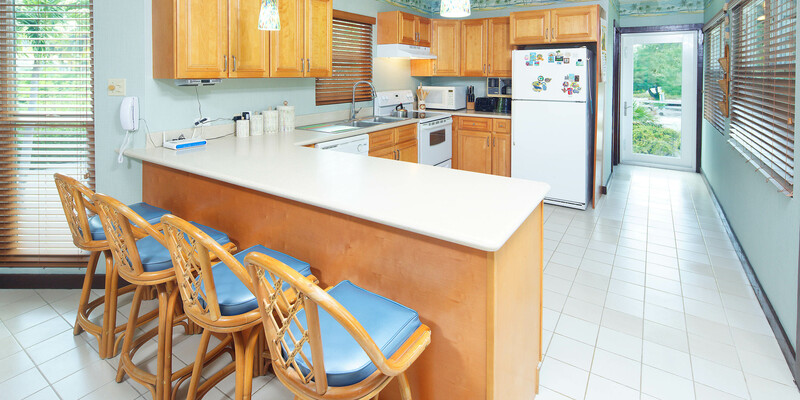 The top of the "Y" is a large screened porch for those winter evenings when the A/C is not necessary and a cool breeze can waft through the house. 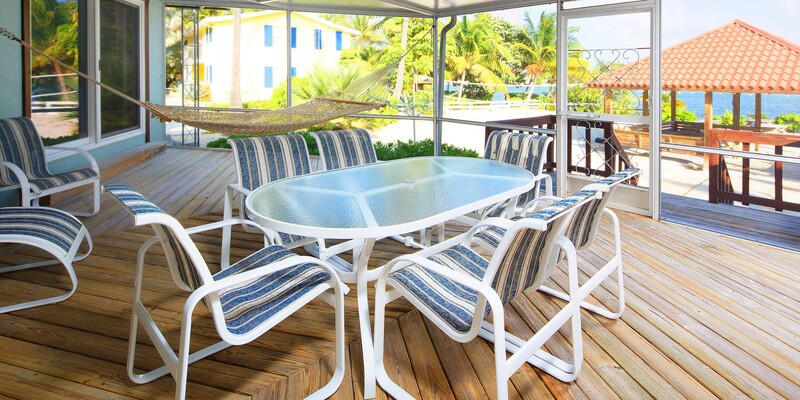 The screen porch opens to the quiet waters of the cove and your own private roofed cabana with 2 picnic tables. 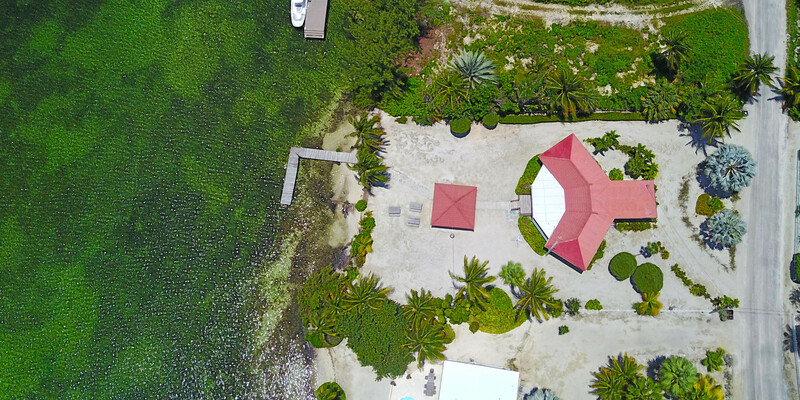 Kirk Kove also features a private dock allowing guests to charter a snorkel or stingray boat trip to pick them up right off the water! 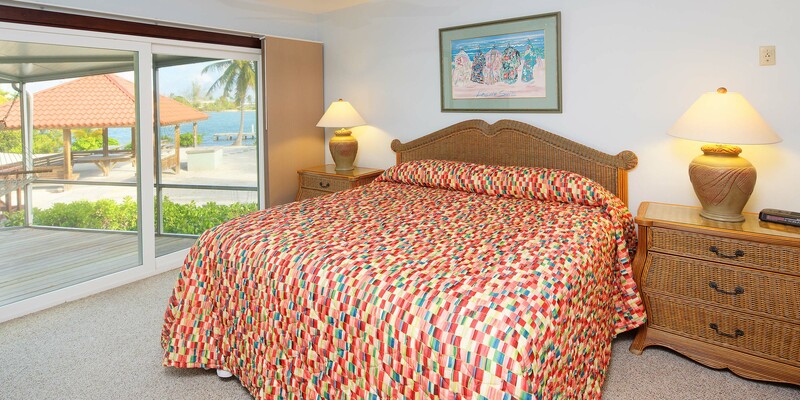 Kirk Kove sleeps 6 guests comfortably across 2 bedrooms (king bed & 2 twin beds), plus a sleeper sofa in the living area for two children. 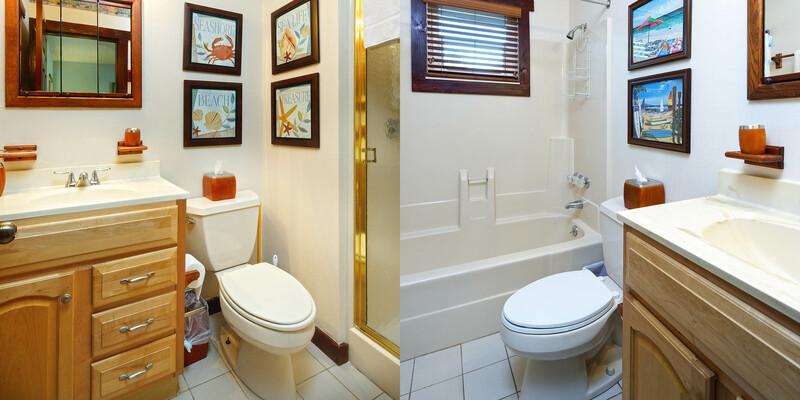 Both bedrooms have private baths and are on opposite ends of the house assuring privacy and quiet. 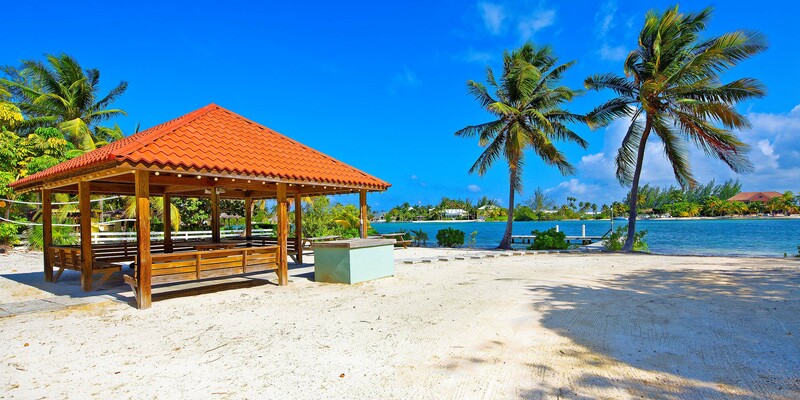 Walk across the street to enjoy the beautiful white sand beaches of Cayman Kai, or walk 250 yards north to Rum Point for water sports, restaurants, beach bars and gift shops. 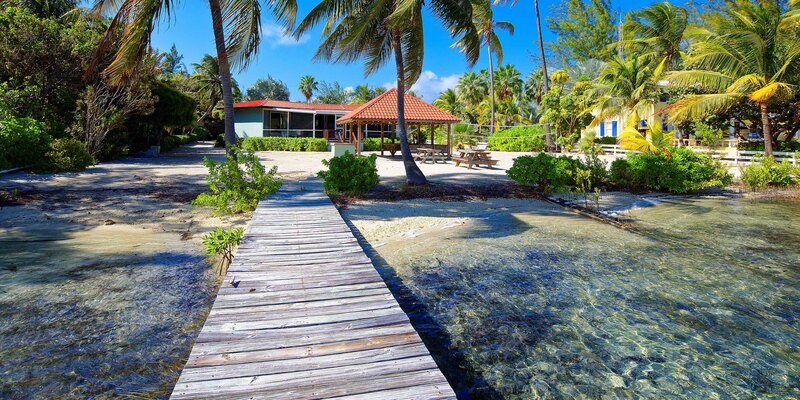 Also close by is is Starfish Point, a popular destination where ruby red starfish gather in the clear, shallow water. Kids will love it! 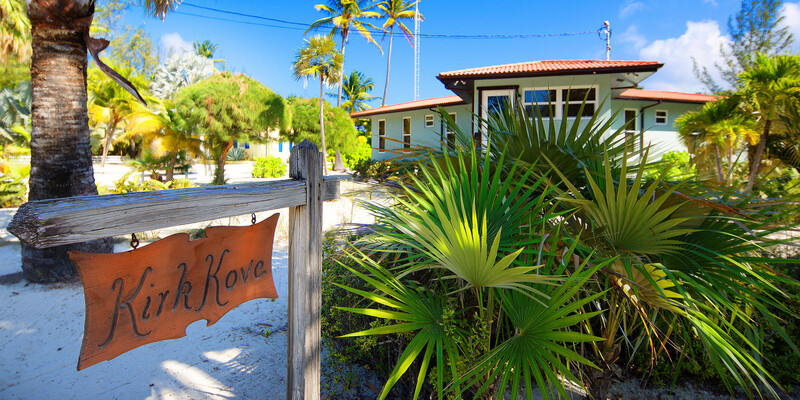 Kirk Kove is a great option for families, and traveling couples. 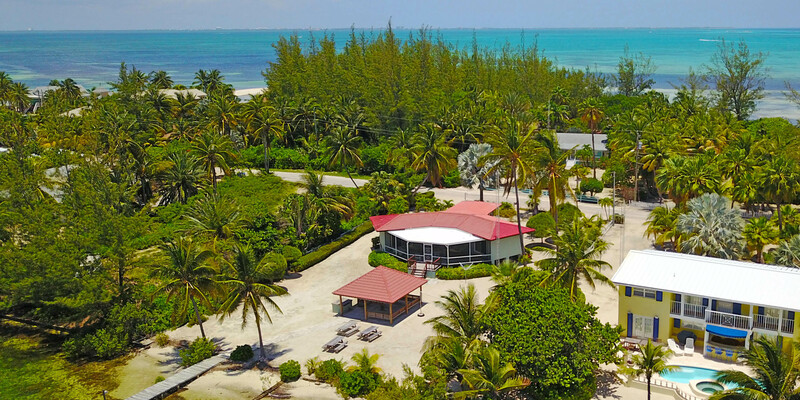 It is far enough away from the hustle and bustle of Rum Point, but close enough to be convenient to many area attractions. My wife and I and two children (ages 20 and 15) enjoyed a stay-cation at Kirk Kove. 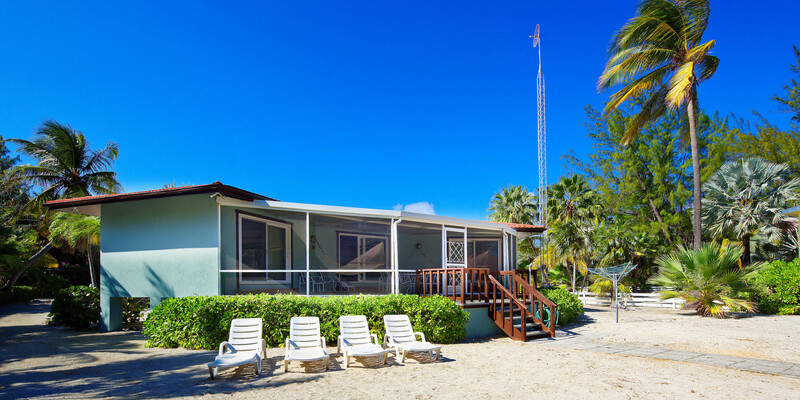 The villa was clean and well appointed with a large sandy beach with volleyball net, an enormous cabana with BBQ, and a boat dock. Despite initial problem with the WiFi not working (resolved after the technician finally turned up), and a few rusty door hinges, we had a glorious time enjoying early morning beach strolls, swims, (rented) paddle boarding and kayaking. 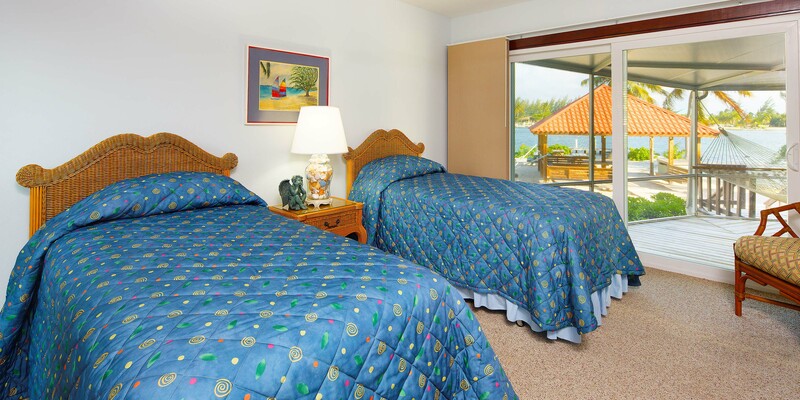 We used our car to drive to restaurants at North Side and East End and our boat for trips to Hurley's for shopping and the sandbar for swims with the stingrays and the reef for snorkeling. All in all a wonderful relaxing get-away. My wife and I had a wonderful stay at Kirk Kove. The Y shaped home has the kitchen in the vertical leg of the Y, and bedrooms at each end, giving lots of privacy for families or 2 couples. 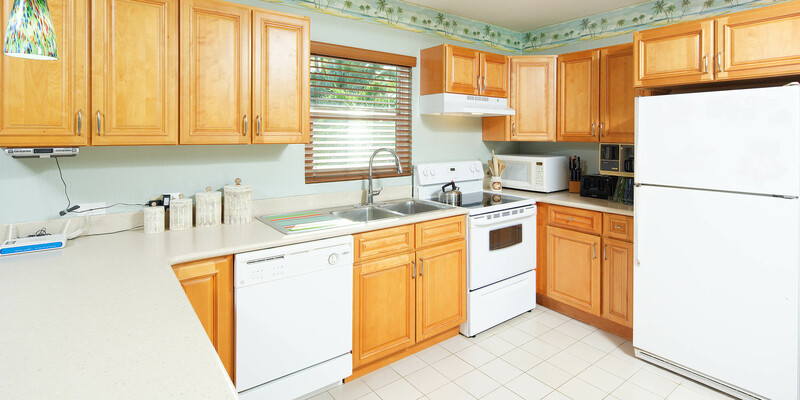 Great kitchen, comfy living room beautifully decorated. A good TV and a easy stereo completes the picture. 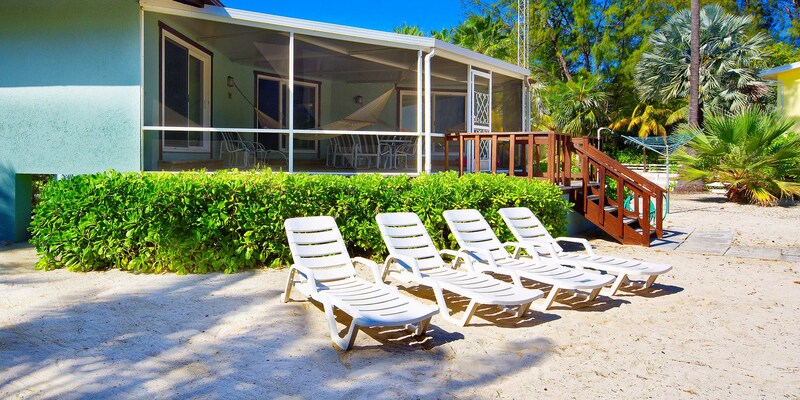 A huge screened porch, big beach side gazebo and a big dock which was great to sit on and have a morning cup of coffee. 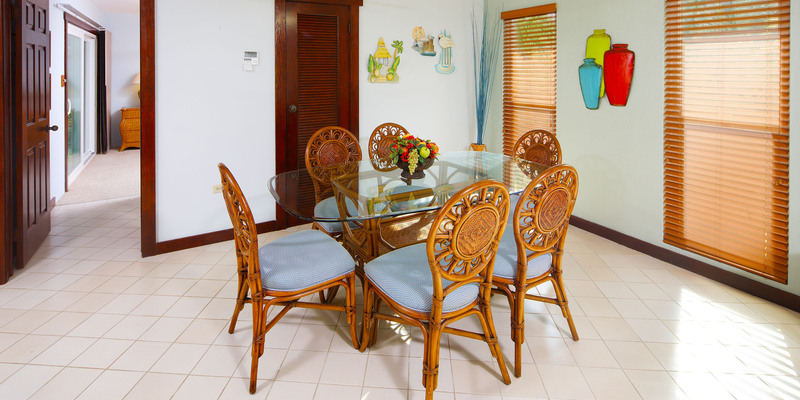 This is a genuine Cayman Kai home, and it is not the Ritz-Carlton, so bedrooms have wall unit aC and the common areas are not air conditioned, but the constant breezes are more than adequate except on the most hot/humid summertime days. 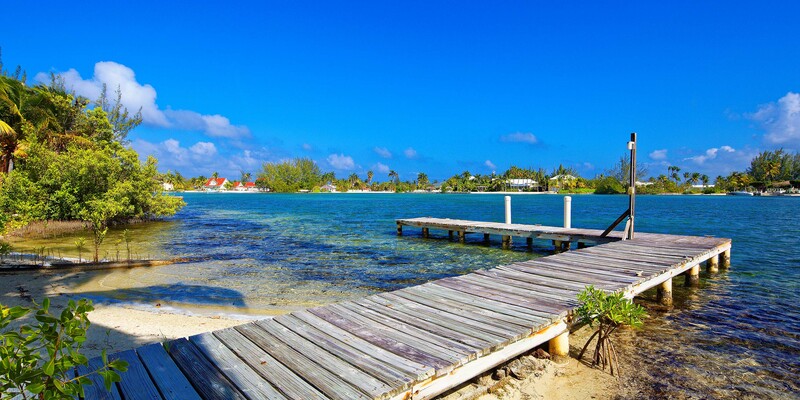 If that bothers you then jump in the ocean or grab a cold drink ant Rum Point or Kaibo,just a walk away with lots of sea sports available. Quiet is nice. Enjoy! We stayed for almost a week and we were very pleased with Kirk Cove. It was clean and very relaxing. I really felt the beach feeling all day! Pleasant, but there is room for improvement. Overall everything was o.k. However the stove & the refrigerator were not working properly. Select properties may require a damages deposit by way of credit card pre-authorization, to be held during guests stay, in case of damages. Our staff will advise you of this deposit at time of booking. Our reservations team is here to help you. 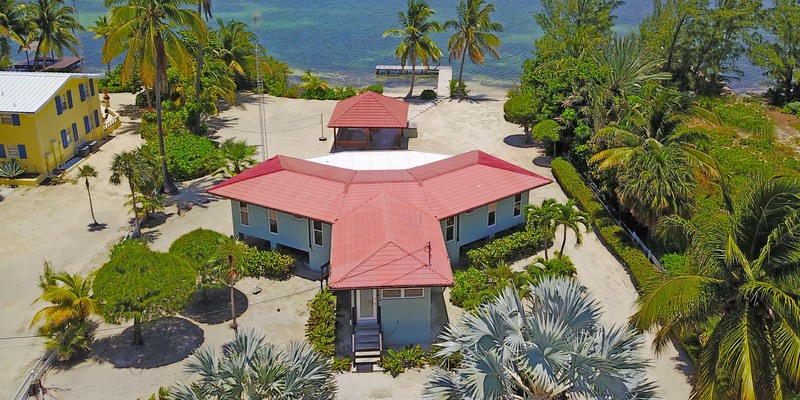 Have questions about this property? Email us using the white button below.